I love getting things in the mail, don’t you? And if it happens to be clothing, shoes or beauty products – all the more reason to get excited! 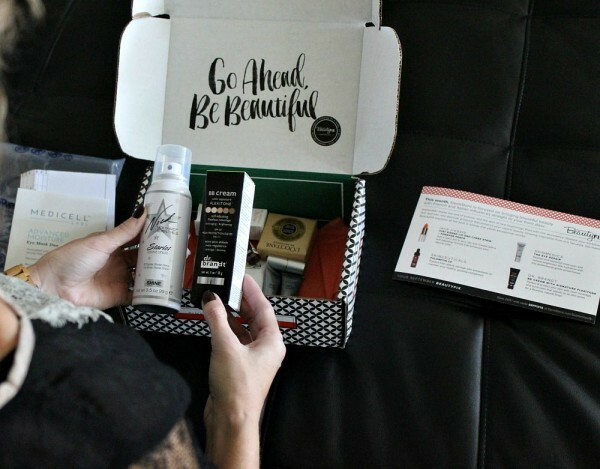 Subscription boxes for apparel and beauty have become increasingly popular over the last couple of years, and there’s a reason why. Well, several actually. 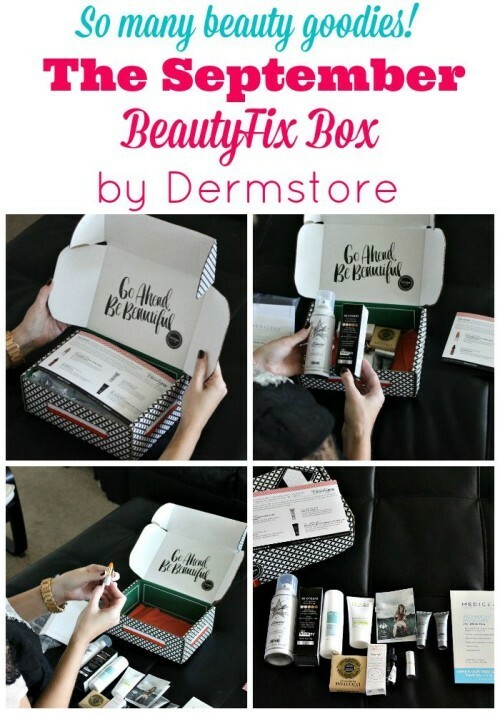 For a beauty box like the one from Dermstore called BeautyFix (pictured above), it gives you the chance to try out professionally handpicked products for a fraction of the cost. 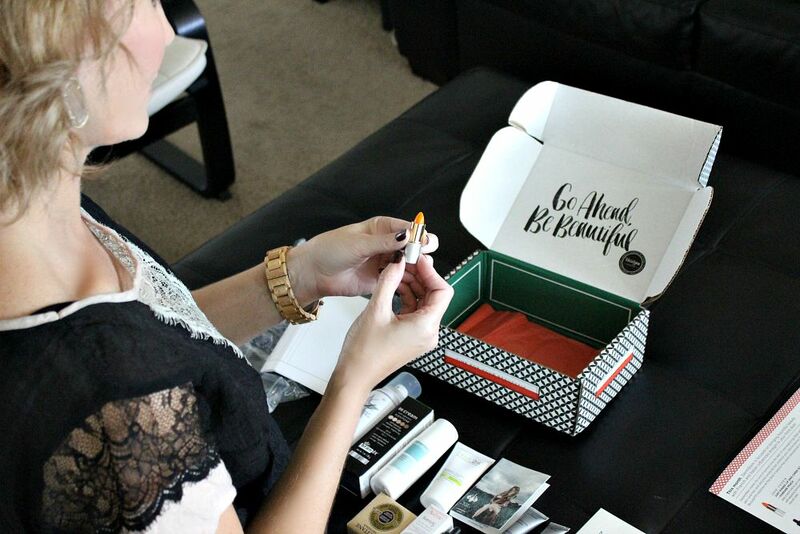 I received my September box and it was loaded with goodies that I’ll tell you about in a minute! 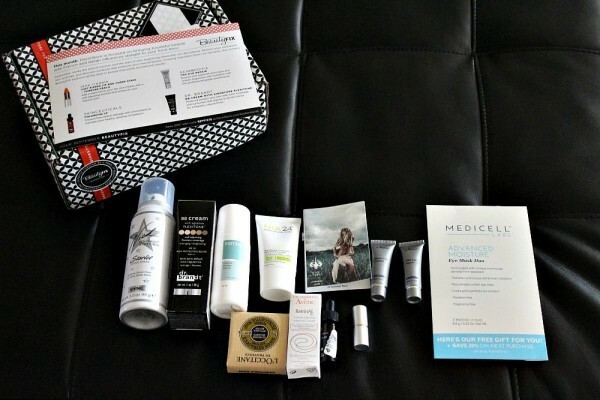 Did you know you can receive $100 worth of beauty products for as low as $12.48? It’s true! Just sign up for this limited time offer (which includes free shipping – sweet!) to receive your first box. Let’s talk beauty shall we? 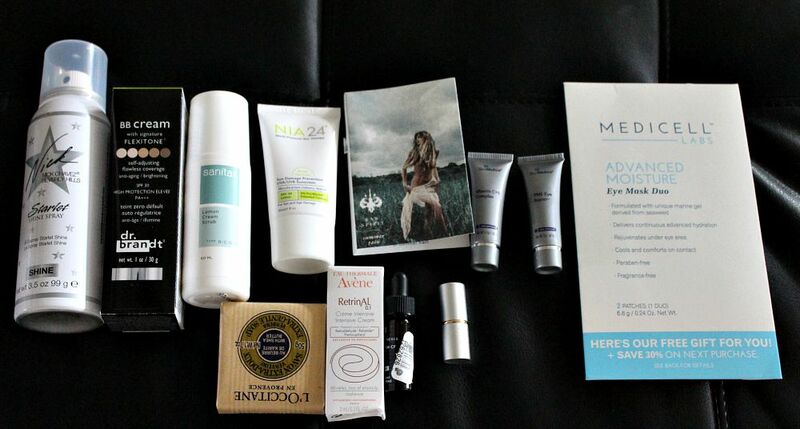 My BeautyFix box was delivered to my door, loaded with products I could not wait to try. 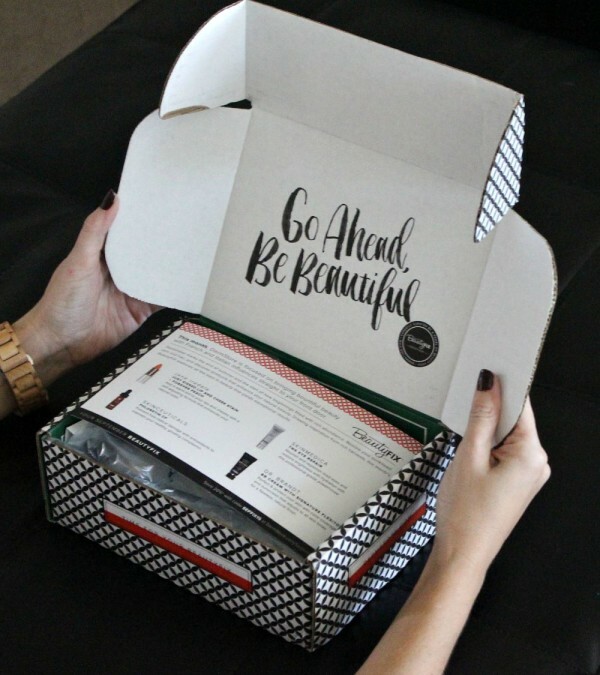 And the box told me to ‘Go ahead and be beautiful’, to which I say ‘Will do!’. 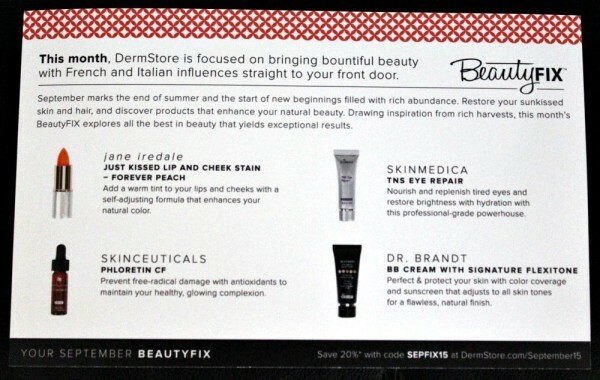 It came with a card letting you know what the September box was all about, and a description of each product. I love the idea of the end of summer and using products that help in restoring my skin and hair. Summer can be brutal on both. Nick Chavez Starlet Shine Spray – Need help with vibrancy, health and frizz? This product is for you. I can tell you, it works and it smells amazing. Dr. Brandt BB Cream with Signature Flexitone – I’ll admit, I am very skeptical when it comes to products stating they adjust to all skin tones. But this BB Cream, it actually did. As soon as I put it on and started rubbing it in, it looked like it was made just for me. This will be a go-to product for me. This perfects and protects your skin with color coverage and sunscreen. Don’t forget sun protection all year round! jane iredale Just Kissed Lip and Cheek Stain, Forever Peach (pictured below) – I love a product that does more than just one thing. I like to carry a small cosmetic bag in my handbag so the less products, the better. The color of this stain is gorgeous. Add a warm tint to your lips and cheeks in the morning or on the go. It’s a self adjusting formula, so it enhances your natural color. I.am.hooked. Raw Spirit Summer Rain Eau de Parfum – If you are looking for a light scent, this is for you. It features a fresh scent of summer rain and was launched exclusively at Dermstore. Sanitas Skincare Lemon Cream Scrub – I know what you’re thinking. ‘Lemon cream? Hand it over right now!‘ The smell is amazing and so is the soft cleansing and exfoliating. Plus is features a cool bottle design perfect for traveling. Pull up to open and push down to close. Use this product to reveal glowing skin and draw out impurities. L’Occitane Shea Butter Extra-Gentle Soap – I haven’t opened this yet because I am saving it for a bath which includes loads of bubbles, a glass of wine and soothing music. I am a soap snob. Or at least I’ve become one in the last 6 months. I do not like washing with body wash. I’m a bar soap kind of girl, but I prefer handmade and fancy soaps. I can’t wait to experience this soap! NIA 24 Sun Damage Prevention UVA/UVB Suncreen SPF 30 – We all want to protect our skin from sun damage, but what if you could do that and keep wrinkles and dark spots at bay? Yep, this product does both. Avene Retrinal 0.1 Intensive Cream – Some of the first signs of aging are wrinkles, irregular skin texture and loss of tone and radiance. This product includes Vitamin A which promotes gentle cell renewal to soften wrinkles and even out skin tone. Skinceauticals Phloretin CF – I used to be so terrified to put any type of oil on my face thinking it would break me out. Now I sometimes use 100% pure olive oil as a base for my mineral foundation. I’ve come a long way baby! This product soaks in fast, and helps you maintain a healthy, glowing complexion. Skinmedica TNS Eye Repair – There are some mornings I wake up, take one look in the mirror and say “Julie, you really, really need to get a good night’s sleep!”. It shows in the eyes first. This product helps restore those tired eyes, with its anti-aging benefits. It’s very luxurious and nourishing. 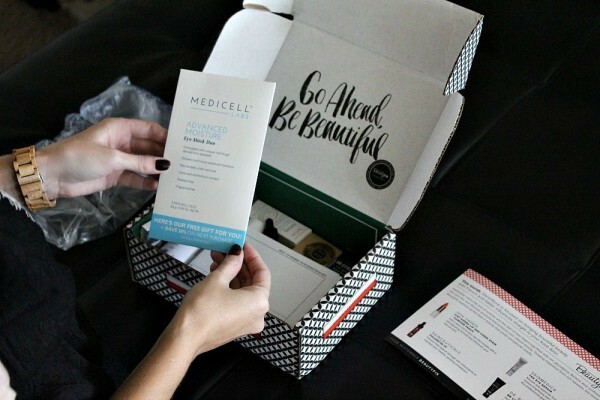 Medicell Labs Advanced Moisture Eye Mask Duo – I also received 2 patches of this product and a coupon for 30% off on the Complete Advanced Moisture Duo. This helps rejuvenate the under eye area, while providing cooling comfort on contact. Maybe I’ll add this to the bubble bath I have planned. What a box right?! I’m really looking forward to using all of these products and choosing which ones I would like to upgrade to the full size. I was browsing through Dermstore and a few other products caught my eye: Duo Fibre Brush, this lip plumper (because why not? ), Soul Mattes Eye Shadow Palette, and this Essie Nail Color. Are you ready to get your BeautyFix? Sign up today! Disclosure: Mom Fabulous was provided samples to facilitate this post. All opinions are my own.